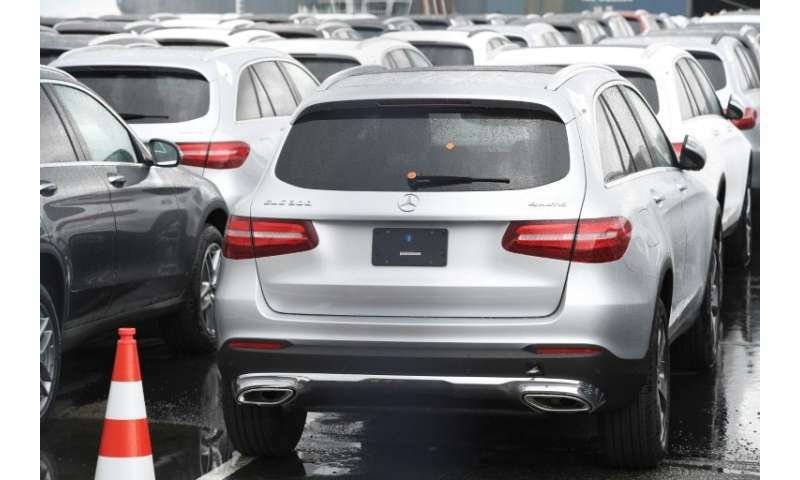 US President Donald Trump's threat to impose steep tariffs on auto imports will hit foreign automakers that export a large number of vehicles to the US market, but many also manufacture cars domestically. Most of these brands, such as Mercedes and BMW as well as Nissan, Honda and Volkswagen, have at least one auto plant on US soil, where they employ tens of thousands of workers. These automakers have invested billions of dollars in their US facilities. Toyota and Mazda announced at the start of the year plans to build a $1.6 billion joint facility in Alabama that will be capable of producing 300,000 vehicles a year. Volvo Cars, which plans to open a plant in South Carolina by the end of the year, has warned that new import duties would affect its investment plans. In 2017, about 17.2 million vehicles were sold in the United States, according to AutoData, which compiles figures from manufacturers and dealers. Nearly 8.7 million of these were imports, according to the Center for Automotive Research, mostly from Mexico and Canada— partners in the North American Free Trade Agreement—as well as from Japan, Germany and South Korea. Since the start of this year, the share of domestically-manufactured autos sold in the US has fallen to 50.1 percent, down from 51.1 percent over the same period in 2017, according to Edmunds.com. At least 82 percent of Volkswagens sold in the US were imports, according to Edmunds, as well as 55 percent of Toyotas, 57 percent of Hyundais, 70 percent of Mercedes-Benz and 68 percent for BMW. On the other hand, more than half the cars sold in the US by the "Big Three" in Detroit were made locally: 80 percent for Ford, 60 percent for General Motors and 55 percent for Fiat Chrysler. Honda is the sole foreign automaker manufacturing a large majority of its locally-sold cars in the United States. The US auto industry is the largest US manufacturing sector which employs about eight million workers, directly or indirectly through related industries. It also is one of the largest export sectors, according to the American Automotive Policy Council, an industry body representing the major US manufacturers, General Motors, Ford and Fiat Chrysler, and foreign automakers. Auto exports virtually doubled between 2009 and 2015 to $137.7 billion from $74.1 billion, according to AAPC, supporting 771,000 US jobs. BMW and Daimler, maker of the Mercedes-Benz, notably send US-built cars to the European Union and China. BMW, which says its Spartanburg, South Carolina plant is the world's largest, exported 70 percent of the 371,284 autos manufactured at the site last year, or about 272,346, representing about $10 billion in total exports. Toyota, which employs more than 36,000 people, has 10 factories at locations in Alabama, California, Mississippi and Texas. It produces 1.2 million cars and sells 2.4 million, according to 2017 figures, with the difference made up by imports. Honda, which employs 4,000, has factories in Alabama, George, Indiana and Ohio and produces 1.2 million, selling 1.6 million. German giant Volkswagen, which has a Tennessee factory with the capacity to produce 150,000 units annually, did not disclose production figures but sold 339,679 autos. It employs 2,444 workers. Daimler maintains auto plants in Alabama, Indiana, and South Carolina and has 4,900 local workers. In 2017, it produced more than 286,000 cars and sold 337,246. BMW, which employs nearly 9,0000 workers, produced 371,284 automobiles in 2017 in the US, and sold 305,685. Nissan maintains two factories in Mississippi in Tennessee and produced 930,000 autos, selling $1.6 million. It employed 14,400 workers. Volkswagen luxury brands Audi and Porsche have no US factories and as a result import all the vehicles sold in the US market. In 2017, Audi sold 226,511 units while Porsche brought 55,420 to market.